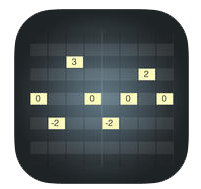 Arpeggionome Pro: An interactive MIDI arpeggiator designed specifically for iPad. 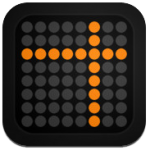 Arpeggionome Pro transforms your iPad into a new and expressive musical instrument. Design intricate patterns of musical notes, then trigger those patterns at different pitches and speeds with an x-y matrix. Tilt the iPad for accelerometer-controlled pitchbend and volume, and with the advanced MIDI implementation, control other iOS MIDI apps, external MIDI gear, and computer software like never before. Audiobus support and Landscape-orientation support. DESIGN AN ARPEGGIO FROM SCRATCH. •Rates: set the pattern’s rate to 50% or 25%. 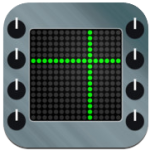 There are over 340 arppegiator patterns that can play phrases from all kinds of music genres like dance music, hip-hop, rock, pops, with one finger. Use Synth Arp & Drum Pad to easily create fabulous phrases and enjoy a performance freely! * This application is Core MIDI compatible. Wi-Fi communication possible with Yamaha MOTIF XF (body version 1.2 or above) Alternatively, use the MIDI Interface i-MX1 to communicate with all MIDI devices. * A USB Wi-Fi adaptor, sold separately, is necessary for Wi-Fi communications. – Choose from 61 high-quality voices from a variety of instruments including 7 drum kits. – Cutoff, resonance, attack, release, and portamento can be adjusted with the knob control. Setting tonal qualities is easy. – Reverb, chorus, and variation effects can also be applied individually. – Choose from 342 arpeggio patterns from a variety of instruments. – Control the swing, note length, octave range, and other characteristics for each arpeggio phrase in real time. – Select and change the scale being played. That allows you to use Touch Control Function and you can modify the sound by sliding your finger vertically or vibrating your finger horizontally on the Keyboard. – The velocity can be changed depending by adjusting the strength of the tap on the iPad screen, or use the ribbon controller displayed on the left-hand side of the screen. – For each of the 16 drum pads, you can assign 5 notes at a specific velocity which allows you to play chords with one finger as well as multiple percussion instruments. – Separate notes can be assigned to the left and right sides of a pad along with their velocities for more intricate performances. The velocity can be controlled by the strength of the tap on the iPad screen. 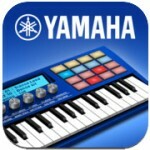 – You can also use the built-in step sequencer of each pad, to easily create a rhythm track. – The Learn function can be used to easily assign a chord to a pad using the keyboard displayed at the bottom of the screen or using the keyboard of an external MIDI device. – There are 64 user templates that can be customized and saved. – Overdubbing enables the blending of various layers of sound in one recording. – In addition to standard recording, you can also record loops of varying lengths. – Quantizing and recording speed can be adjusted, and a pre-count can also be set. – It can be stored up to five songs. – Use the ribbon controller to change velocity, pitch, and assignable parameters. Synth Arp & Drum Pad is available for $3.99 for a limited time. What would happen if you crossed a Monome with a Kaossilator? You would get the Kaossonome by Alexander Randon, an instrument inspired by Korg’s Kaossilator and the Monome. It features Kaoss Pad-like sampling programs and is fully Monome 256 compliant. Additional programs include an algorithmic step sequencer, a beat synced sample chopping performance controller, and many more. Now you can get the iPad version of this device. It’s called the Arpeggionome. The Arpeggionome is a musical instrument designed specifically for the iPad. With the Arpeggionome, you can design and perform intricate patterns of musical notes at incredible speeds and with precise control. • Control Range – sets the placement of the Control Points.